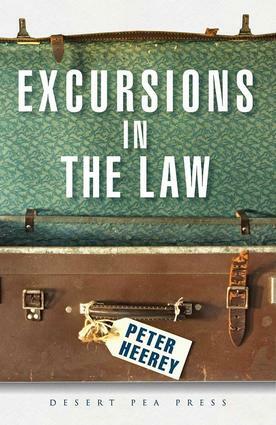 In 40 years as a barrister and judge Peter Heerey AM QC has observed and sometimes taken part in memorable legal events. This work is partly a collection of recollections; a murder trial, a Privy Council appeal, the leading High Court decision on the liability for barristersâ€™ negligence and the cause cÃ©lÃ¨bre of Professor Orr and his dismissal by the University of Tasmania. There are also studies of notable historical and legal figures: Andrew Inglis Clark, Sir Owen Dixon, Abraham Lincoln, Justice Antonin Scalia and others as well as some of his professional colleagues. From time to time Peterâ€™s work has included periods in other lands: the American South, Quebec, Vanuatu and Ireland. Vivid impressions of their historical backgrounds and some current personalities are recorded. Law is looked at from a literary perspective. There are discussions of the commercial and litigious issues in The Merchant of Venice, post modernist analysis of legal issues and storytelling in the law. The Judicial Herd: Seduced by Suave Glittering Phrases? The Honourable Peter Heerey AM QC was born in Hobart, Tasmania. After graduating from the University of Tasmania and working as a solicitor he practised for 23 years at the Victorian Bar, being appointed Queenâ€™s Counsel in 1985. He sat for 19 years as a judge of the Federal Court of Australia, including duty as President of the Defence Force Discipline Appeal Tribunal and a Deputy President of the Australian Competition Tribunal. His work on the Federal Court mainly involved intellectual property, competition law, administrative law and tax. Since retiring in 2009 he has served as Chair of the Australian Electoral Commission and returned to the Bar specialising in advice, arbitration and mediation.